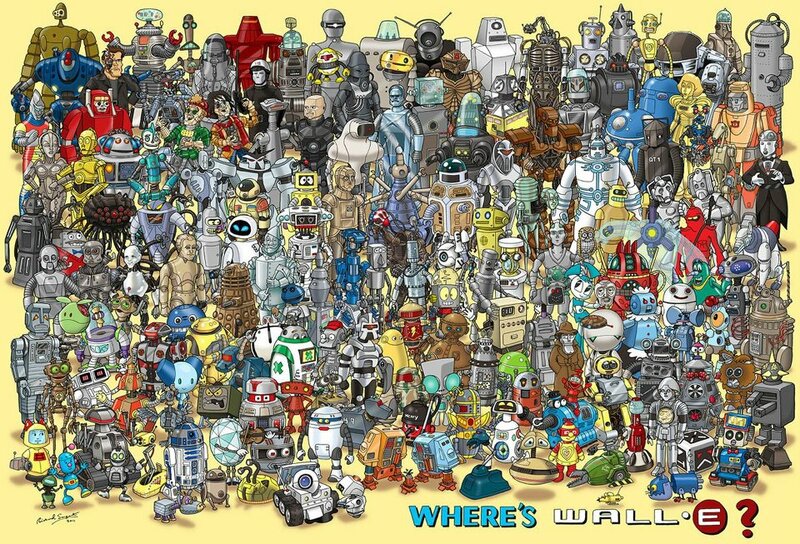 Where is the Dalek???. . HD Wallpaper and background images in the Doctor Who club tagged: doctor who. 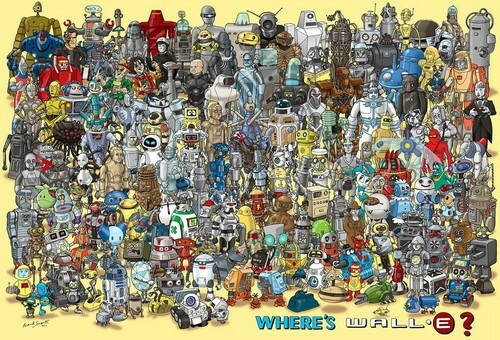 Dalek: Left of the Tin Man, below Bender and EV-A, beside I-robot thing. WALL-E: Above K-9, left of the Cylon, right of Bad Robot. Oh this is wonderful. wish I had the poster!